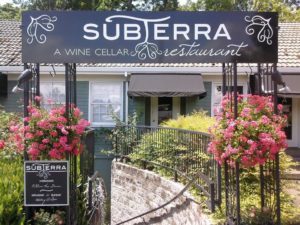 From Our Hearts: We love Subterra for a special occasion or even just an afternoon lunch. 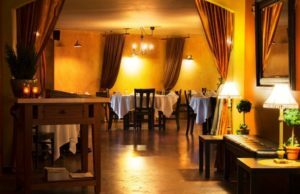 The atmosphere can serve both types of occasions and the food is always amazing. Consider them for your rehearsal dinner, post wedding lunch, or anniversary dinner. How They Stand Out: Relaxed fine dining, offering a patchwork of complex, bold flavors pieced together from varied cuisines and brought together with classical technique, coupled with a hand- selected local and global wine and beer list and classic cocktails, all served to you by a talented waitstaff in an amazingly ambient cellar locale. 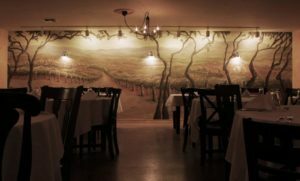 We have a private dining room that is available for rent and seats up to 20 people. Additionally you can rent the entire restaurant for the evening, seating up to 70 guests. What a DEAL! : Happy Hour Monday through Friday 3 to 6 p.m.